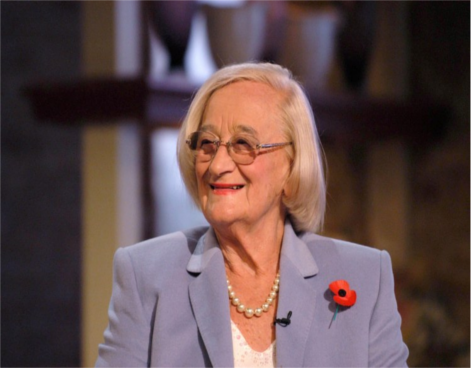 The Royle Family actress Liz Smith has died aged 95, a spokeswoman for her family has said. Smith appeared in the sitcom as Norma ‘Nana’ Jean alongside Ricky Tomlinson, Sue Johnston, Craig Cash and the late Caroline Aherne. Aherne died from lung cancer in July this year. Born Betty Gleadle in 1921, Smith didn’t start landing professional roles until she was in her 50s, first appearing in Mike Leigh’s TV film Hard Labour. She went on to appear in 2point4 Children, Bottom and Lark Rise to Candleford. She also starred alongside Dawn French in The Vicar Of Dibley as Mrs Cropley. At 85 she won a British Comedy Award for playing Nana, her best known role. In 2009 she was awarded an MBE for her services to drama, and said at the time that the layabout characters in The Royle Family were ‘nothing like my family, thank God’. A series of strokes forced her to announce her retirement from acting in 2009, aged 87.